Professor Gefroh's research is a special topic in Function Theory known as Entire Functions. The focus of his research is investigating properties of the class of entire functions with order at most two, relevant to the location of their zeros. Esteemed mathematicians who have contributed to this area include Laguerre, Polya, Schur, Korevaar, Neumann, and de Bruijn. Notable initial results were inspired by failed attempts at solving or refuting the Riemann hypothesis. This conjecture continues to promote interest in this vein of research. 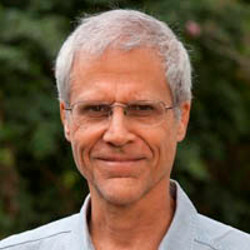 Professor Gefroh is currently investigating properties of his composition product to address the problem on the location of the zeros of entire functions in this class, as one of several ongoing research projects.